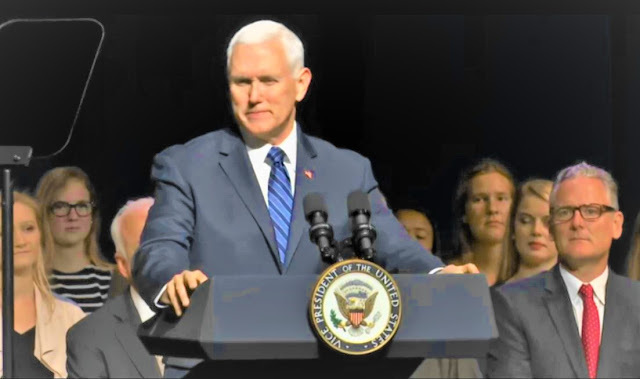 Vice President Mike Pence spoke at Ave Maria University in Collier County, Florida on March 28, 2019. "Thanks for putting feet on your faith," Pence said. "(You are) impacting this community, this state, our nation and the world. We are proud of all of you." "The men and women of Ave Maria University have stood without apology for the sanctity of human life," Pence said.